The dogs are all pretty stinking cute, but our favorite has to be one Mr. Wigglesworth, a Shar Pei that looks more like a manatee than a puppy. One look at his wrinkled face and you can’t help but fall head over heels in love. 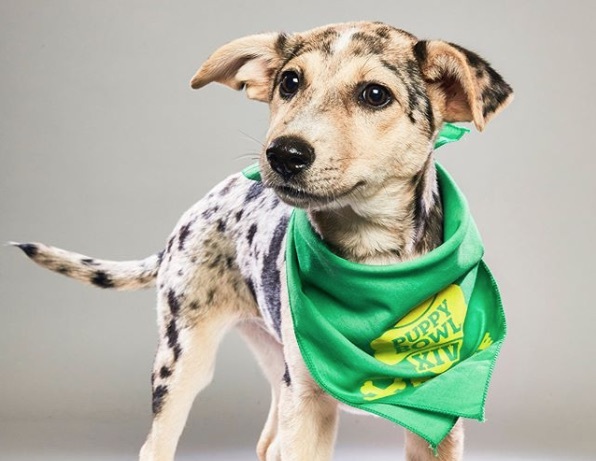 And now, without further ado, we introduce the squee-worthy Puppy Bowl lineup! How adorable are these doggos?! This year there, in addition to the Puppy Bowl, there will also be a Dog Bowl. The Dog Bowl features a lineup of older dogs who are just as playful as their junior counterparts. And just a cute too! Are you having an aww-attack yet? Tune in for the Puppy Bowl to see these very good boys in action!